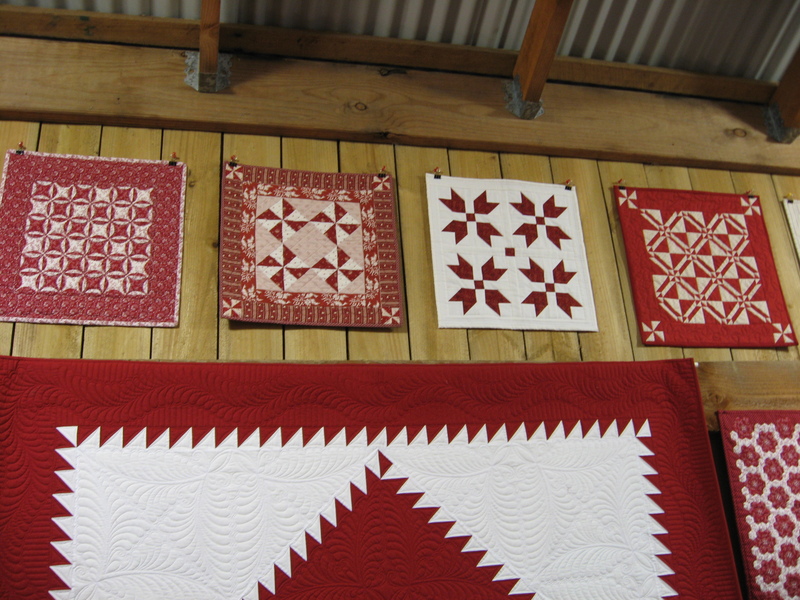 Each year in October, Linda Collins hosts “Quilts in the Barn” (http://quiltsinthebarnaus.blogspot.com.au/) at her lovely property in Wonga Park, on the north-eastern edge of Melbourne. 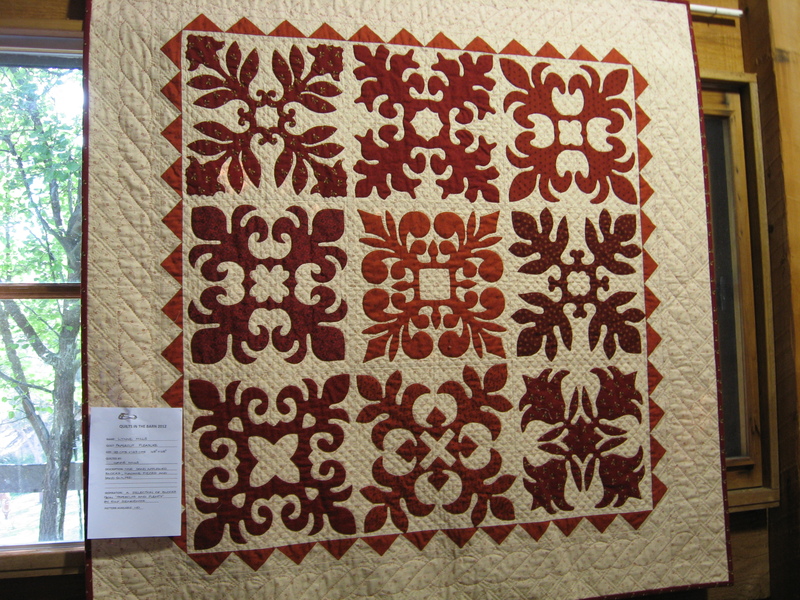 I have been going to these quilting exhibitions for a number of years and am always impressed and delighted. Linda and her group of helpers work extremely hard to run an event which is very well organised. From the time you drive along her road, marked by signs and colour balloons, to parking your vehicle as directed by friendly husbands/sons and other men pressed into service, and to the yummy food served so efficiently, you feel that attention has been paid to every possible detail. 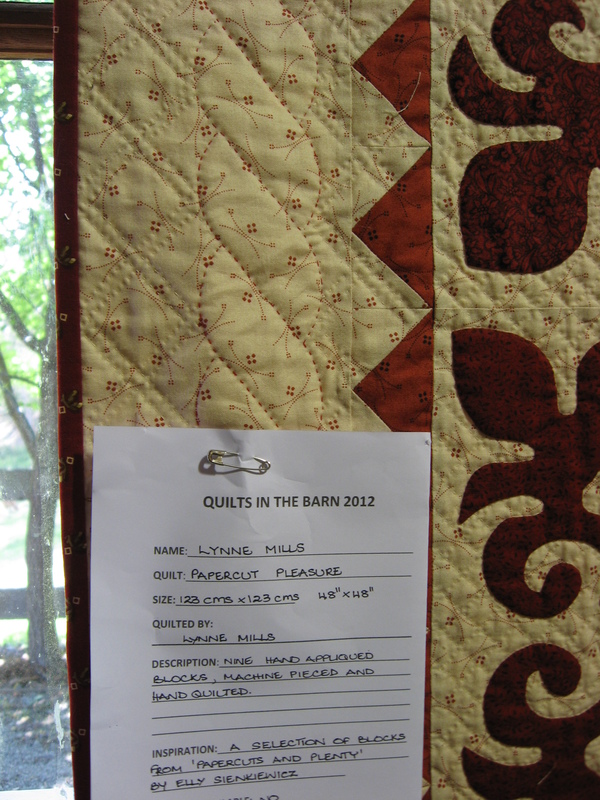 Entry to “Quilts in the Barn”. 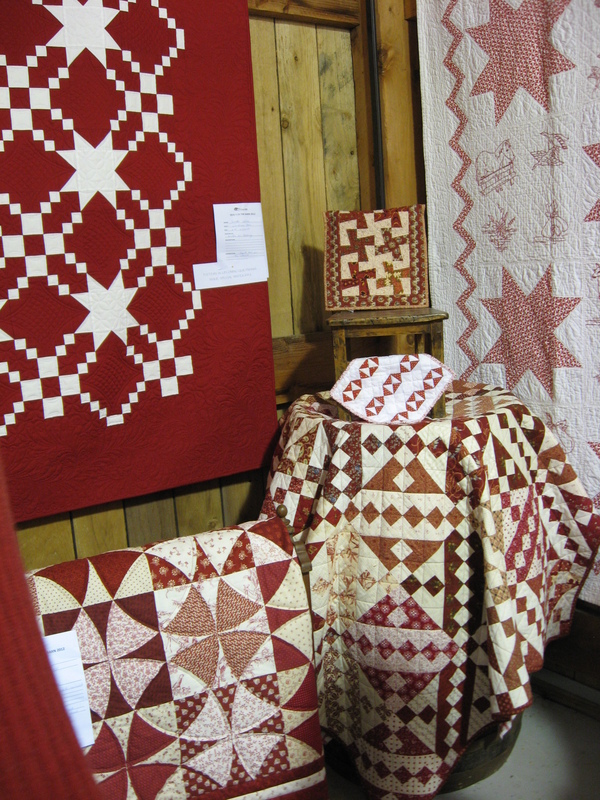 Each year has a particular theme, this year’s being “Infinite Variety Revisited – an Exhibition of Red and White Quilts” and the variety of styles and fabrics was certainly extensive. 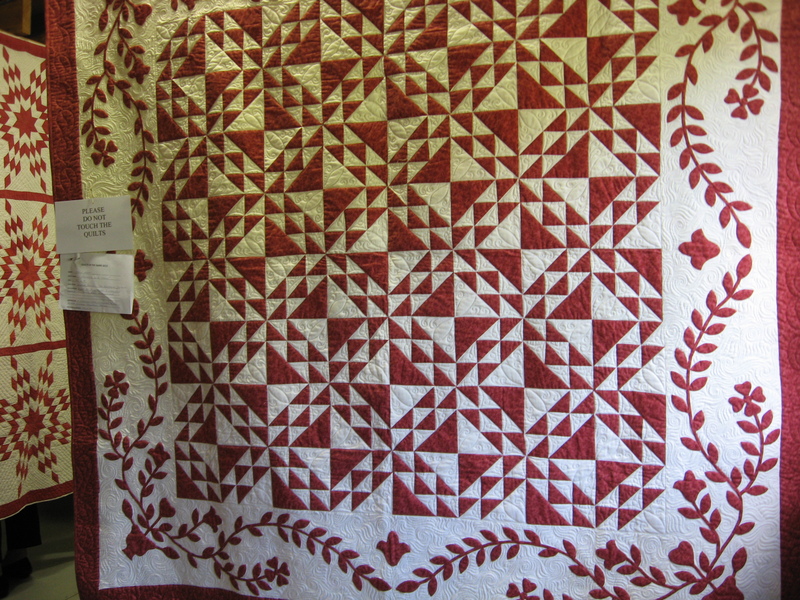 Whether or not you are particularly drawn to red and white quilts, the display was stunning. 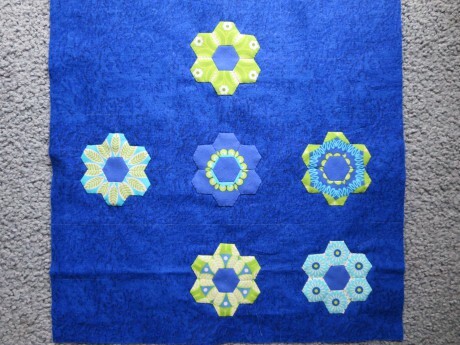 A pattern is available for this eye-catching quilt. 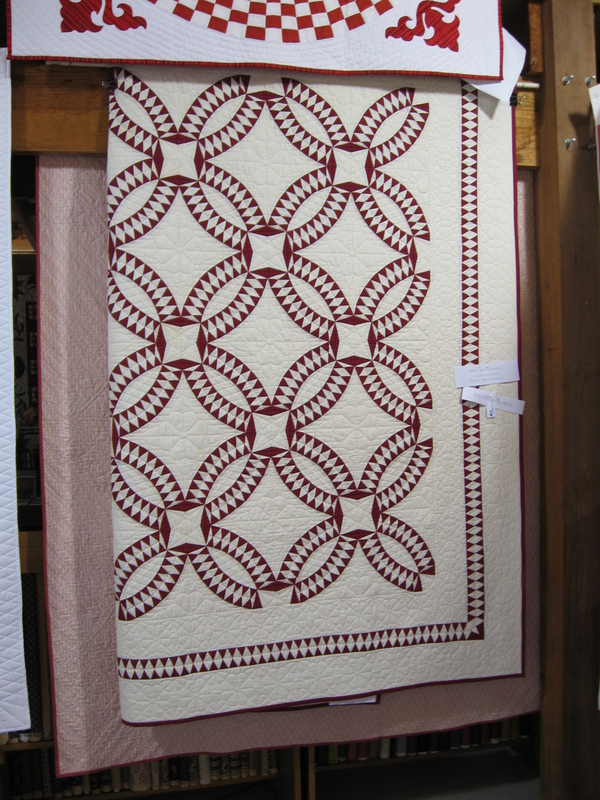 I was particularly drawn to this quilt because of the fine applique and the hand-quilting. 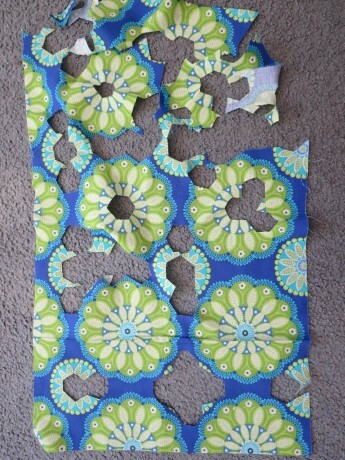 Hand applique and hand quilting. 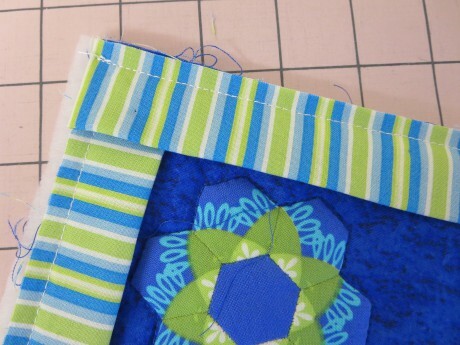 Close up showing hand quilting. 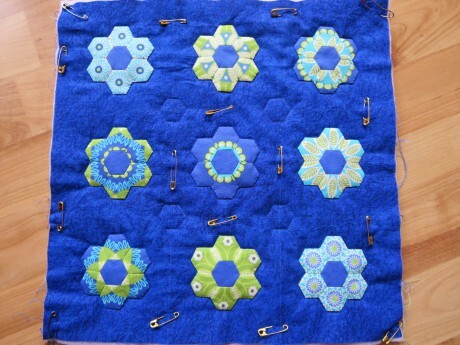 It is interesting to see how quilters find inspiration from various fabrics. 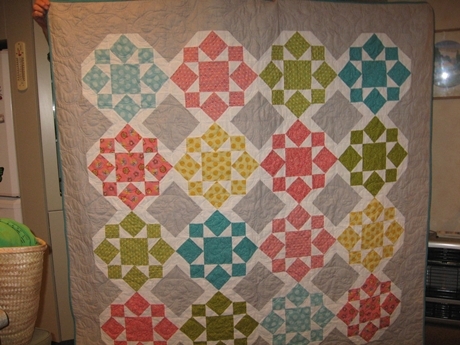 This quilt was designed around the pattern on the fabric. 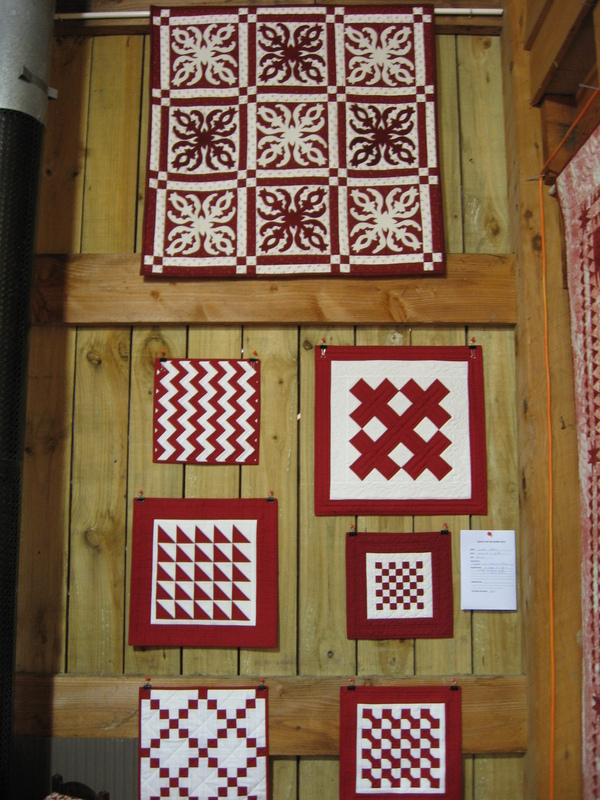 The quilt displays are always arranged very artistically. 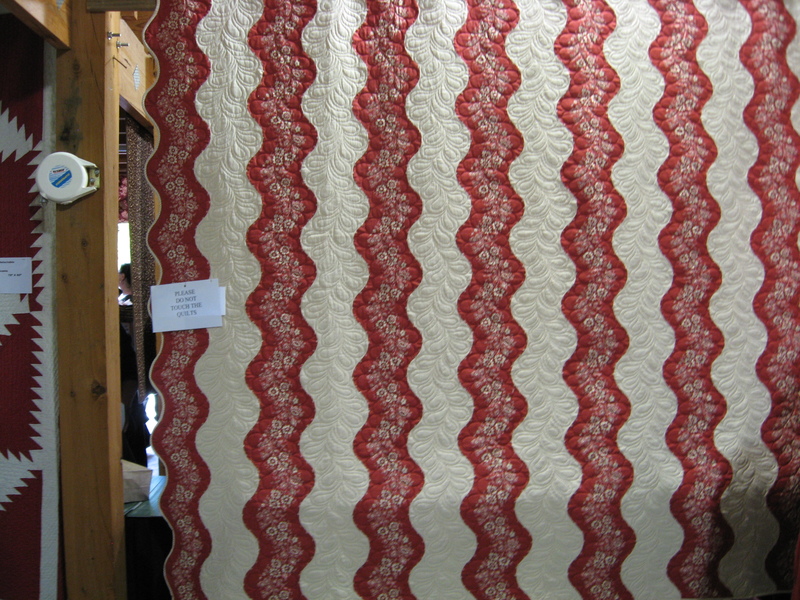 Some of the props are as much admired as the quilts! This miniature furniture was coveted by many visitors. 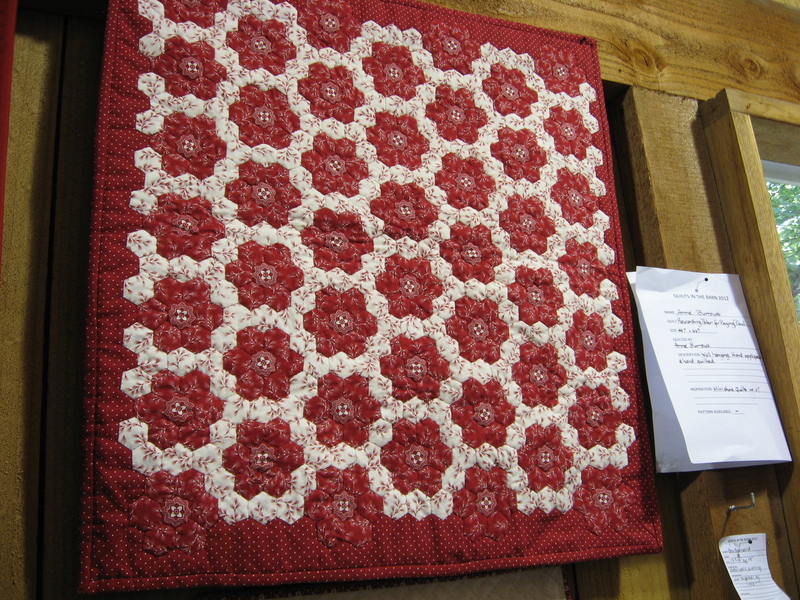 And speaking of miniatures… there were many small quilts on display too. 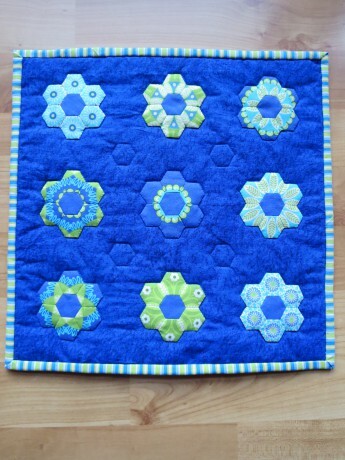 Lots of little quilts too. 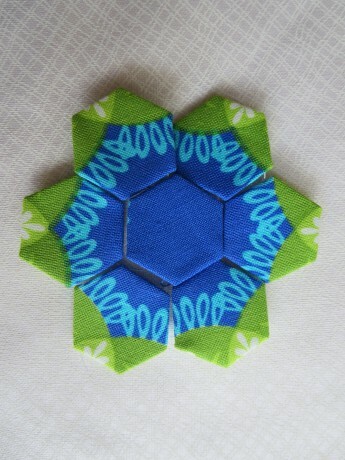 I loved this miniature hexagon quilt with fussy-cut centres. Don’t forget to look up too. 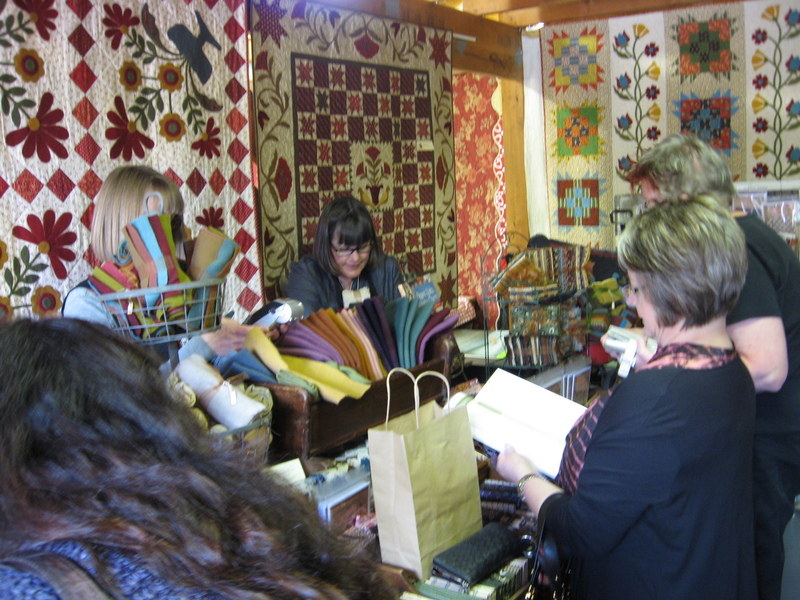 Deidre and Leonie from the Quilted Crow serve eager customers. 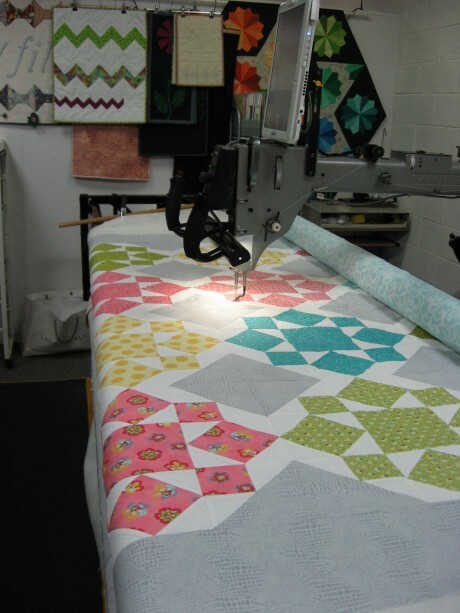 The Quilted Crow specialises in applique designs featuring felted wool, although you can also create the designs using cotton fabrics if that is your preference. 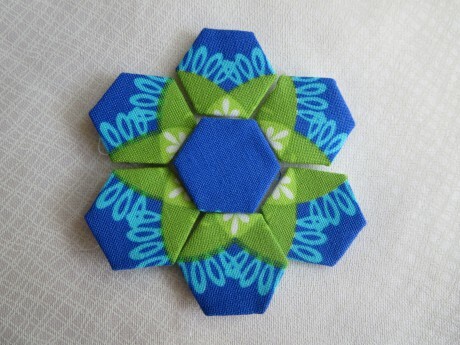 Of course if you are using wool, Aurifil Lana (50% Australian wool and 50% polyester) makes a good choice for sewing thread. 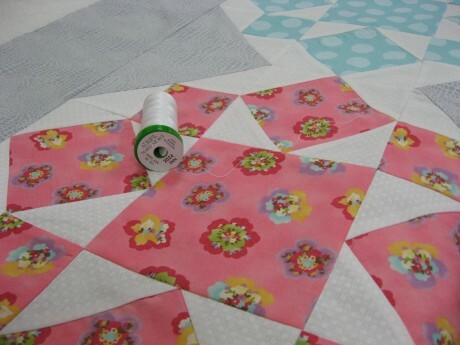 It is available in 192 colours, including some variegated shades, and is suitable for hand and machine work. 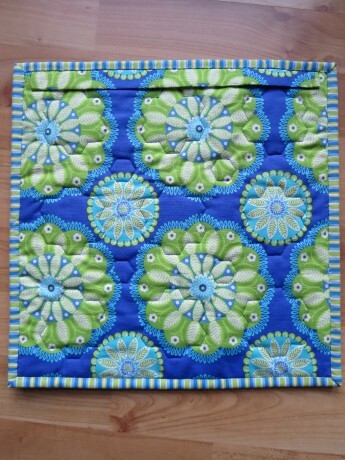 To check out all the details and see some examples of Lana in use, check out the Always Quilting website www.alwaysquilting.com.au/ (Click on Thread on the left hand side, then Lana). 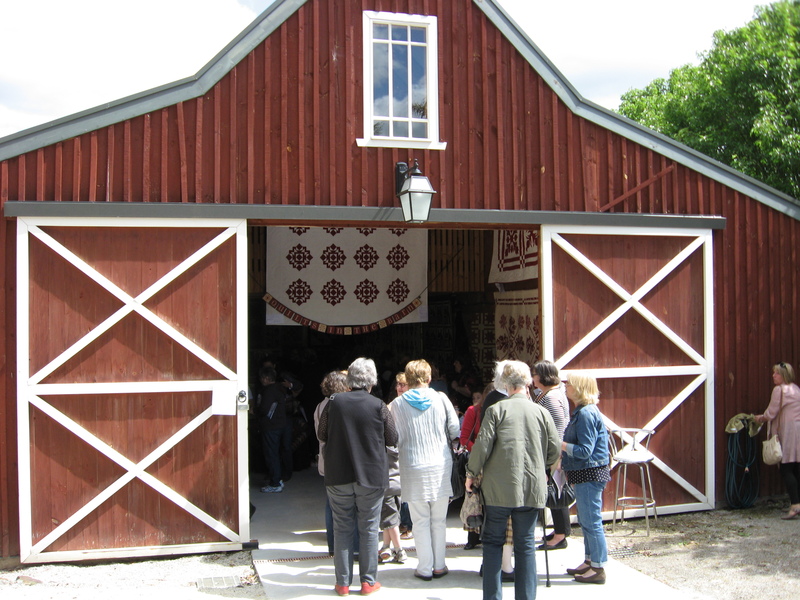 Another draw card to Quilts in the Barn this year was the inclusion of a number of antique quilts from the collection of Mary Koval from Pennsylvania, some of which were for sale alongside some fabrics. 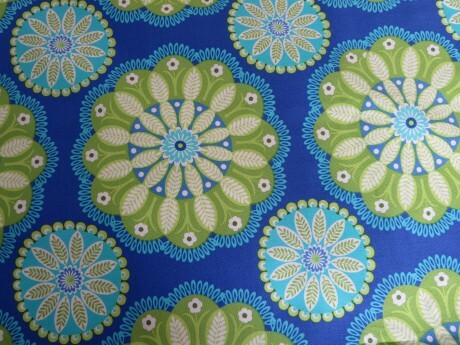 Mary designs for Windham fabrics. 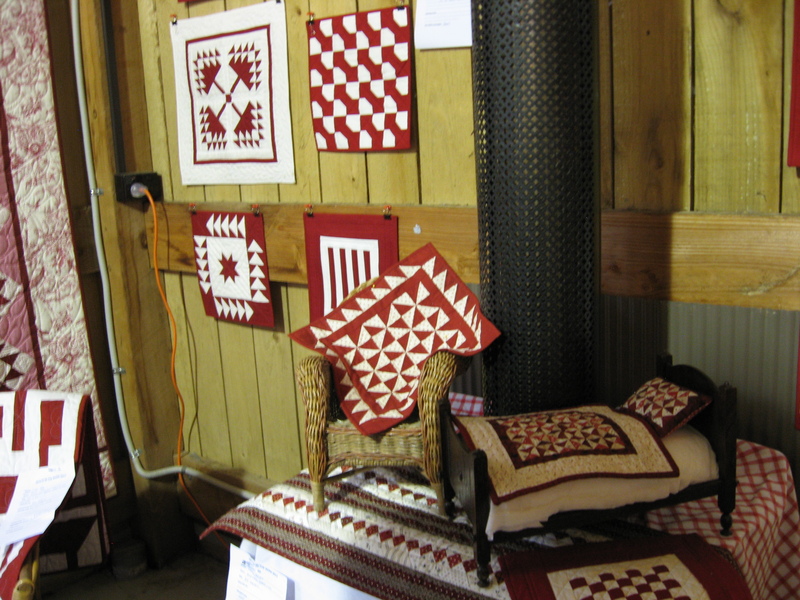 The only disappointing feature of Quilts in the Barn was that I did not get a phone call to say I had won one of the raffle prizes. All money raised from the exhibition, refreshments and raffles goes to support breast cancer research. It’s such a worthy cause even without the incentive of a beautiful prize. Never mind, better luck next year. I’m looking forward to it already! !